Ahhh, seed cycling. One of the many random things I’ve tried to get pregnant. But, this is one that I actually happened to be doing when I got pregnant with my second miracle. Did it help? Maybe! And as someone trying to overcome over a half dozen infertility diagnoses (High FSH, Low AMH, Low Antral Follicle Count, Diminished Ovarian Reserve, Endometriosis, Recurrent Miscarriage, & MTHFR Mutation), I tend to do ALL THE THINGS that might possibly help me get pregnant. One of the things I love about seed cycling, is that even though it isn’t terribly evidence based (although there is some science, which I will share), there’s very little (if any) risk. 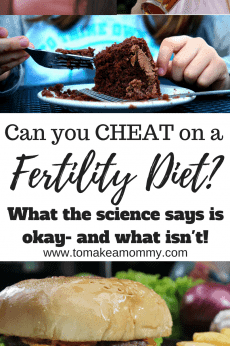 It’s just eating fertility-friendly food timed with your menstrual cycle! 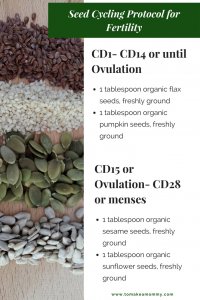 The basic idea is that during the first half of your cycle (pre-ovulation) you provide estrogen support by eating seeds that boost your body’s natural production of estrogen and that assist your body in processing it appropriately (flax and pumpkin). This means they boost the right kind of estrogen and block excess inappropriate estrogen. You need the right amounts of the right kinds of estrogen to grow beautiful, healthy eggs. 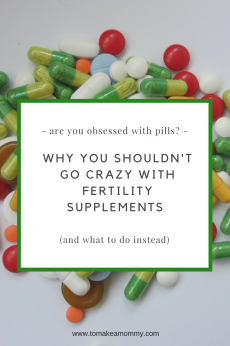 Now, women who aren’t trying to conceive, but who are trying to regulate wacky periods might use seed cycling to try and gently get their cycles on track. For them, they take the flax and pumpkin seeds from Cycle Day 1- Cycle Day 14, and the sesame and sunflower seeds from Day 15-Day 28. If you are trying to conceive, and aren’t tracking your ovulation, you might do the same as you would assume you would ovulate around Day 14. If you ARE tracking ovulation, then you would want to switch seeds after ovulation, even if that wasn’t on Cycle Day 14. This is what I did, because while trying for my second miracle I was using the Ava bracelet to track my ovulation. If your cycle is TOTALLY wild and unpredictable, then you can seed cycle with the moon to try to gently encourage your body to move towards a natural cycle of bleeding with the new moon and ovulating with the full moon (what most women in the world do). If you’re doing this, take pumpkin and flax seeds on the new moon, and then do sesame and sunflower starting on the full moon (most women ovulate with the full moon and its thought to be the most fertility-enhancing moon-cycle) (Really. This is a thing. Check out this article here!). 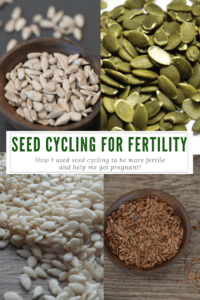 Before I started seed cycling I listened to podcasts, read naturopathic websites, and consulted some fertility books. 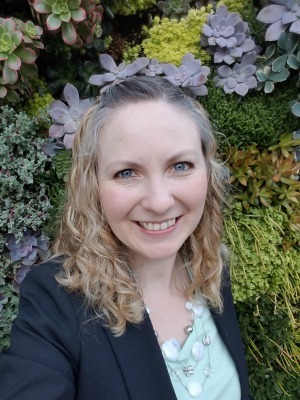 I have to tell you- although there are a ton of websites on this, there isn’t super great information on the WHY behind seed cycling out there. And there isn’t great information on tailoring this to for trying to conceive versus regulating your cycle. I remember listening to an hour long podcast on seed cycling for fertility and they never explained exactly how to do it. So frustrating! So, I decided that if I was going to try it with what limited guidance was available, I would do it with a spirit of mindfulness. 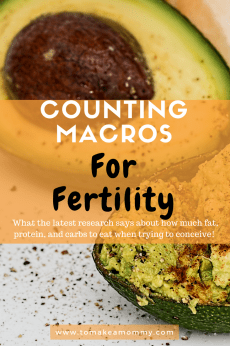 That means that before ovulation as I consumed ground flax and pumpkin seeds, I purposefully imagined the seeds giving the perfect moderated estrogenic boost of perfect energy to my beautifully growing eggs. 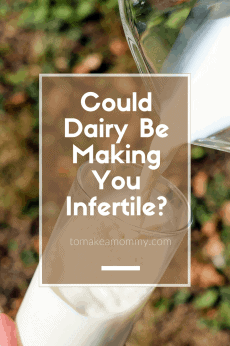 After ovulation I would imagine the ground sesame and sunflower seeds perfectly supporting my natural ideal progesterone so that a healthy embryo could snuggle into my lush and receptive uterine lining. Sound crazy? Well I do a lot of visualization and affirmation work both for fertility and for life! Okay, let’s get down to the nitty gritty of what I did, and then I’ll end the post with the few scientific articles we have that make this a semi-evidence based practice. Flax Seeds– High in calcium and Omega 3 fatty acid, and has been shown to reduce anovulatory cycles, and help lengthen luteal phases. Pumpkin Seeds– High in minerals needed for hormone balance, such as manganese, magnesium, and zinc. They are high in isoflavones and have been shown to boost healthy estradiol levels and moderating estrogen receptors to protect the body from bad estrogens. Sesame Seeds– High in fertility-boosting vitamins such as calcium, Omega 6 fatty acid which supports progesterone production, and zinc. Sunflower Seeds– High in magnesium and B6. Materials note: You need to make sure you are buying ORGANIC seeds so you don’t have any harmful pesticide residue. And you need to make sure you are freshly GRINDING your seeds. 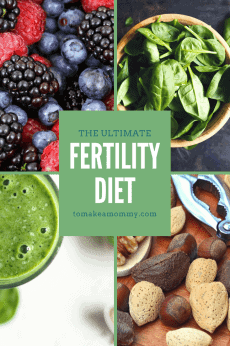 Ideally you freshly grind your seeds every couple days and then add a tablespoon of each every day to your fertility smoothie. I was too lazy to do that so I used my NutriBullet! Basically I loaded up my fertility smoothie with ingredients and at the very top (where the blades that can grind seeds would hit) layered by 1 tablespoon of each seed for the day. You can use the milling blade that comes with the Nutribullet to grind the seeds first if you prefer. I did this for about two months before I became pregnant. You can read my whole story of my second miracle pregnancy here! Of course there are other ways to eat ground seeds- this is just how I did it! Have you tried seed cycling? Did you like it? Are you going to try? Leave a comment below!! I still don’t think this is the most evidence-based fertility practice ever, but like I said in my notes above, at least it can’t hurt! Yikes! Yeah flaxseeds are pretty powerful stuff. I wonder if maybe you need them at all if the extra boost of estrogen makes you break out? Always important to listen to our bodies and tailor to our personal needs! Great information! I see a naturapath and she prescribed this exact seed cycle but added chia seeds as an option for days 1-14. I enjoy chia or pumpkin seeds in my yogurt, sunflower seeds with my peanut butter and banana toast, even flax seed in my pancakes! I do kernels for sunflower and papitas for pumpkin because there is no need to eat the shells! Thanks for sharing and it has been 2 months of this among other things, so wish me luck! Lovely ideas for mixing it up!! Best wishes and baby dust!! Hello Anna, Thank you for the nice article. I’ve tried seed cycling and also got pregnant after 2 months (probably helped). I was wondering did you stop as soon as you found out you are pregnant? Can not find any information about it, if we should stop or how should we continue with the seed cycling after pregnancy. I am so much afraid if I stop then progesterone will decrease and will lead to miscarriage..
Is it harmful to continue all the seeds every day irrespective of ovulation/luteal phase? Hi Peggy! I feel like this is something you’d have to listen to your body about. Most of the seeds are so gentle I can’t imagine that eating them at the “wrong” times would be harmful. In fact, you probably got from my post that I really believe for them to work you have to be super intentional about it. But there are probably naturopaths out there who would be adamant about only using them during the proper time of your cycle. Your regular RE/OB doctor would look at you like you were crazy and tell you to eat whatever you want. My personal opinion is we don’t need to be crazy strict about seeds, except for maybe flax seeds which seem to be a bit stronger than the others. When I was first ttc I avoided flax altogether because it was so strong, but ate the others whenever I wanted. Second time I seed cycled (with intention). Clear as mud? 🙂 BABY DUST! Do the seeds have to be ground or can I eat them as is or sprinkle on a salad? Thank you! 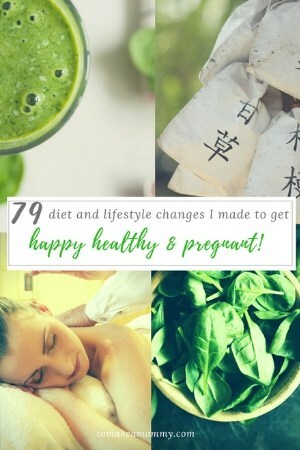 Trying to make my personal fertility diet right now!